In 2001-2002 I lived in Granada, Spain where I taught English. To say I fell in love with the place would be an understatement. When I started writing, there was no question that my first novel had to be set there. This story begins in 1920 and finishes in 1976, the year of General Franco’s death. Following the lives of three generations of women from one family, Luisa, Isabel and Paloma, the narrative takes the reader through the turbulent years leading up to the Spanish Civil War, the war itself (1936-1939) and Franco’s dictatorship. As each woman strives to protect what they hold most dear to them, their strength of character and values come at a cost. 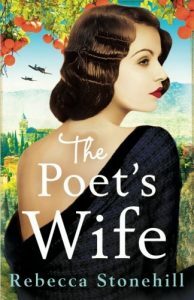 This is a story of one Spanish family devastated by war but is ultimately a tale of resilience, love and the power of hope. Pick up your copy on Amazon by clicking here and for readers from the UK, here. Living in Kenya, it was too good an opportunity to pass up to not set a novel there. As a great lover of nature, I hugely enjoyed winding back Nairobi’s clock to the year 1903, watching the buildings of this teeming metropolis disappear and transform into a tiny township surrounded by Masaai herded plains, teeming with wildlife. Iris is an intelligent, passionate young woman who wants nothing more than to go to university and study. 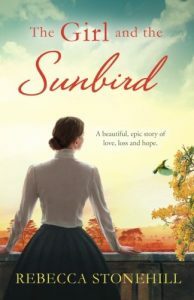 But this is Edwardian England and instead, she is sent by her parents to far flung British East Africa to marry a colonial officer she has never met before. Iris is desperately lonely in Nairobi, but determining to make the best of her life there, she explores her new surroundings, eventually assisting a young Kikuyu teacher in his school house. But as their friendship deepens and her relationship with her husband worsens, Iris knows the terrible risk she is taking. If she chooses to follow her heart, the price she must pay will be devastating. Set in early colonial Nairobi and the upheaval of 1950’s Mau Mau Emergency Kenya, this is a story of one brave and passionate woman’s journey through foreign terrains and life itself. Pick up your copy from Amazon here, or visit the UK site here. Also available on Kobo and iBooks. I was inspired to write this book by my mother’s travels in the 1960’s. As a child, I used to adore looking at her photographs of her time spent abroad, particularly the period she spent living with a community of young travellers in some caves in Matala, Crete! Whilst not at all biographical, this story in inspired by Matala’s stunning setting. 1967. Handsome but troubled, Jim is almost 18 and he lives and breathes girls, trad jazz, Eel Pie Island and his best friend, Charles. 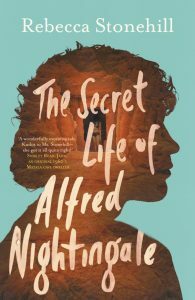 One night, he hears rumours of a community of young people living in caves in Matala, Crete. Determined to escape his odious, bully of a father and repressed mother, Jim hitchhikes through Europe down to Matala. At first, it’s the paradise he dreamt it would be. But as things start to go wrong and his very notion of self unravels, the last thing Jim expects is for this journey of hundreds of miles to set in motion a passage of healing which will lead him back to the person he hates most in the world: his father. Taking in the counter-culture of the 1960’s, the clash of relationships between the WW2 generation and their children, the baby boomers, this is a novel about secrets from the past finally surfacing, the healing of trauma and the power of forgiveness.